Each year Microsoft celebrates partner achievements at its flagship Inspire partner event. Microsoft Inspire event brings Microsoft partners from across the globe together to network, learn and collaborate. Microsoft shares its vision and strategies with them as well. Partners get the opportunity to interact with Microsoft and industry experts at the event. Partners can send in their nominations to be selected for their exceptional accomplishments over the period. This year over 2600 nominations we submitted and we share the Africa finalist and winners in the various categories with you. Dimension Data from South Africa, won the global Modern Workplace Transformation Partner of the Year Award. 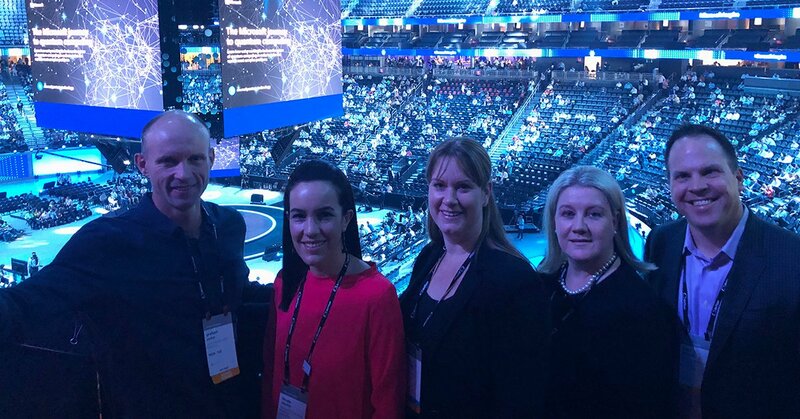 In acknowledging their efforts Microsoft says Dimension Data successfully positioned their customer for the digital future by completely transforming their workplace with the full power of Microsoft 365. By deploying an integrated Microsoft Productivity portfolio as well as Collaboration and Security solutions. Thus improving overall employee productivity, engagement and satisfaction. INOVA specialized in software development, system integration, networking infrastructure, and Training. HITS Technologies is a Microsoft Gold Partner specialized in developing HCM software products, to manage, serve and secure organizations over Cloud using Microsoft latest technologies of IoT. Cloud Productivity Solutions Limited is a technology firm that specializes in helping companies save money through innovation. MC3 Mauritius initiated massive transformation in its business from a traditional distributor to a Value-Added Reseller. Driving a strong partner reach and onboarding of over 50 new Cloud resellers within 3 quarters of FY18. Winner: Ha-Shem Network Services Ltd.
Ha-shem Network Services Ltd. is a traditional LSP within the Nigerian Partner eco-system. FTF is Gold Partner on Cloud Platform and Cloud Productivity driving most of the Cloud productivity consumption in West and Central Africa. Britehouse (a Dimension Data company) is a long-standing Microsoft Partner with experience across all of the Microsoft Solution areas. To learn more about these partners and what they do find out here.